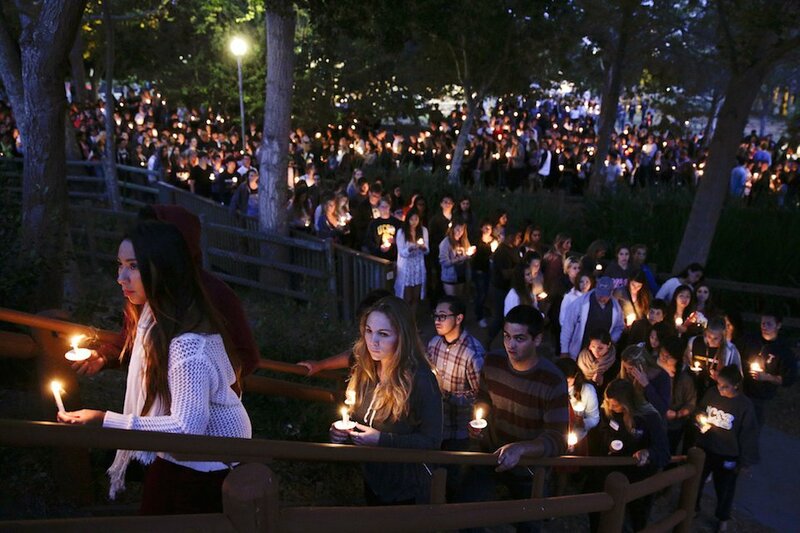 At first, news of a mass shooting was horrific and unheard of. Remember Columbine over a decade ago? But now, it seems like there’s an incident of gun violence every week. A shooter goes on a rampage and kills people, then ends his own life. Commentaries start flying around trying to explain why – gun control, video games, parenting, depression, etc. I’m going to suggest something that we probably don’t like to hear – we’re all a little dark inside. None of us like to think that we’re capable of evil, but we are. We have it in varying degrees. Just think about your past week. Was there a time in which you were annoyed, frustrated, or angry? Maybe just a little? Was there a time you were discontent, lonely, depressed? Maybe just a little? It’s just a little darkness, compounded over time, that breeds evil and produces the terrible acts of violence we see. Does that mean everyone who’s ever felt bummed out or gotten upset is going to shoot a bunch of people. No. But it’s the arrogance that we could never do something so bad that opens up that door. I admit that I have a lot of junk in my own heart. I don’t believe I’ll ever kill someone or injure them. But I’m not naive to think I’m so far removed that I could never do it. I hope I don’t, but given the right circumstances, it’s a possibility. So I watch and guard my thoughts and character. We’re all good people – that’s what we like to say about most people, but not everyone. I do believe we were created with some kind of inherent goodness. I may be wrong, but I think everyone has at some point loved someone. Everyone at some point has done something nice. However small, that single act of good is evidence of goodness inside. Though I think it’s sometimes hard to extend that to the perpetrators. But they are people, and I believe they were capable of extreme good. Everyone, given the right circumstances and decisions, can create an immense amount of good in the world. We’re all bipolar, but not in the clinical sense. We all have a war raging inside of us. It becomes evident in our finest moments and in our ugliest moments. Circumstances bring us to decisions, and it’s these decisions that reflect and reinforce the best of us and the worst of us. Those choices are a daily struggle. We’ve all experienced it. There are the moments where we really want to act in good and healthy ways, but the darker side of our nature gets the best of us. Then there are moments where we’re set on doing something not so good, but then our conscience kicks in. It’s not always extremes, they’re as simple as your reaction when someone cuts you off driving. Do you get angry (knowing it does absolutely nothing useful), or do you let it go and not let it phase you. It’s these small, repeated actions compounded that can turn us into incredibly good, courageous, compassionate, and generous people. Or tragically, it leads us down the path of becoming really selfish, bitter, and destructive. I had this discussion with some high schoolers from my church. We all have people in our lives that are fighting secret battles. Some are obvious, while others hide it really well. Everyone has an internal struggle – with relationships, career, finances, addictions, whatever. And the smallest influence of words can help us win or lose those battles. We can blame today’s violence on guns, media, drugs, mental disorders, or anything at all. Not to discredit those – I do believe we should have serious discussions on those topics. But at the core, we’re all a little dark and capable of terrible acts. We’ve also all been instilled with a sense of good, and are capable of incredible deeds. And we all have this war within our souls, and it wears down on us, some more than others. Foundationally, what we can all do to curb mass violence is care about each other. Yeah, I know it sounds cliche and hippie. What if we gave a crap about the people around us, and really asked how they were doing? Then take it a step further, and actually cared about their answer? Will it stop everyone committing horrible acts? Probably not. People still make decisions and are fully responsible for those decisions. But what if we cared enough to understand that these decisions are everyday battles for some people, and we just stood with them to help them make the right decisions and win a few those struggles?